The course is called “Communicating Science to the Public: A Workshop of Engineering Researchers,” commonly abbreviated to “Sci-Com,” and is comprised of seven one-hour sessions over the course of the semester. This has been the second year that the course was taught and has been catered to graduate students and post-docs who want to make an impact through the press. After intending to pursue creative writing after graduating from MIT, Hu earned a Ph.D in Mechanical Engineering instead. From there, he has been working in the fields of engineering, biology and robotics, earning world-wide recognition for his work from The New York Times to NPR to Discovery Channel. It has been a long-time goal for Hu to establish a science communication course at Tech. From the School of Materials Science and Engineering, Amanda Gable is a second co-instructor for the Science Communication workshop, teaching technical communication within the undergraduate and graduate engineering curriculum. “My background includes a Ph.D. from Emory focused on literature and feminist studies, teaching technical communication in several capacities at Georgia Tech over a number of years, teaching writing and literature at other universities and experience as a novelist,” Gable said. Jeffrey Donnell, the Frank K. Webb Academic Professional Chair in Communication Skills is the third co-instructor of the Sci-Com workshop and holds a Ph.D. from Emory University. “I’ve always thought scientific writing should be clear, direct and accessible; Georgia Tech has been a great place to teach that,” he said. The class is comprised of a series of guest lecturers that are scheduled over the course of the semester, speaking on topics from mock interviews to photography. “Experts from Georgia Tech generously lecture and review the work of the participants,” Donnell said. The experts include Eric Sembrandt, the maker of the COE webpage; Kim Cobb, an expert on social media for scientists; Jason Maderer on speaking to the media, making research results accessible and conducting mock interviews; Candler Hobbs, a science photographer and Stephen Norris on social media. The team hopes to expand the program across the Institute’s departments and have it run as a regular offering with a wide participation of graduate students and post-docs, and possibly expand the program to undergraduate students in the future. 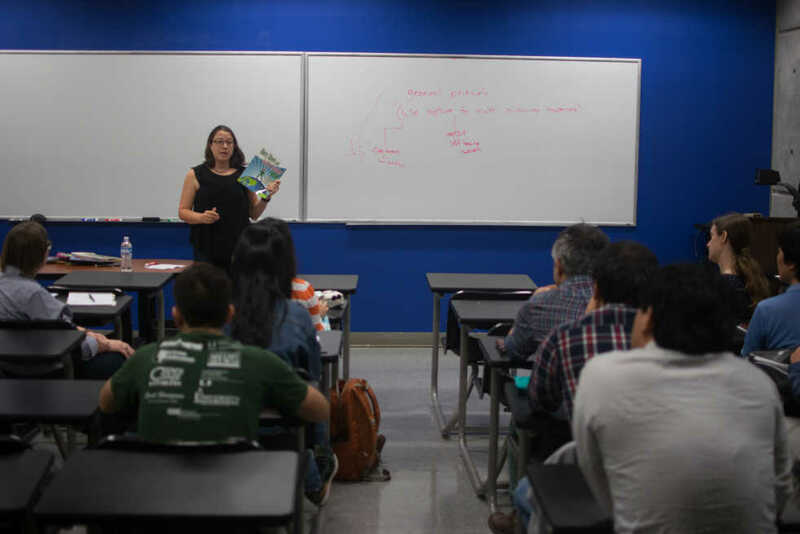 “This workshop series is one among many efforts of faculty and our colleagues in technical communication across the College of Engineering to help all students communicate clearly to other scientists and to the public,” Gable said.